Throughout Allied Healthcare Product's history they have challenged themselves to develop products which affect the quality of human life in many positive and long-lasting ways. They are proud to say that during the past 50+ years they've introduced a great variety of products contributing to the health or standard of living of our customers. 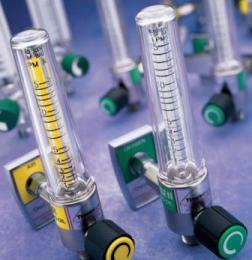 The Soft-Touch Timeter Flowmeter is durable, long-lasting and easy to maintain. Timeter by Allied Flowmeters: Quality Plus Value.